1. While logged into your SureDone account, go to Settings > Plugins. The first thing you need to do is authorize SureDone to have access to your Etsy account. 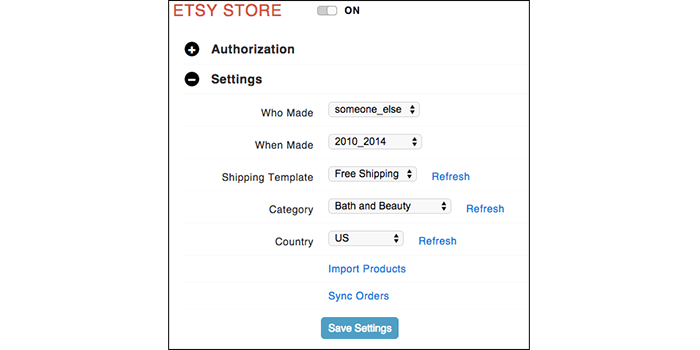 Click the Authorize button to type in your Etsy username and password.